Certified personal trainer and a Les Mills BodyCombat AIM2 Advanced instructor. Yunny fell in love with fitness since her university days when she realized exercise was the best way to keep healthy, fit and happy. 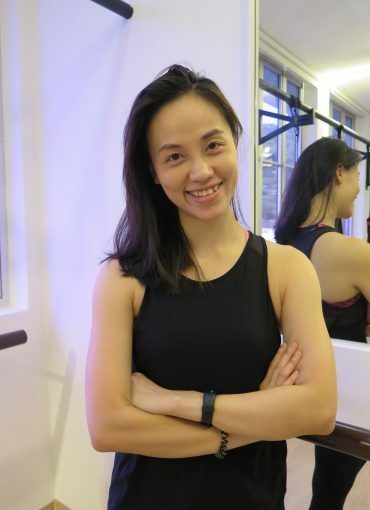 She used to A mother, pre/postnatal exercise specialist, a cardio bunny, teaching group classes as a part time instructor in an Oxford gym, as well as True fitness when she returned back to KL to help in the family business. In 2016, she had her first baby and her life has changed ever since. She has learned to train smart and eat right, and slowly transform her body to become stronger than before her pregnancy. Now she is a full time mom pursuing her passion in fitness, with her two partners of B's studios. Yunny is also a devoted animal lover and a lifelong vegetarian and believes in a healthy balanced diet.